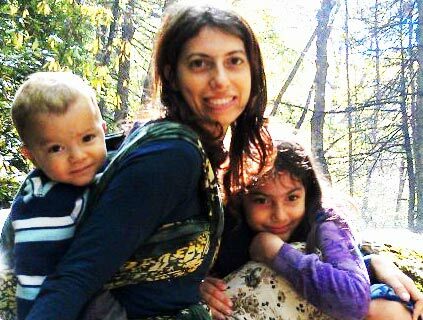 Babywearing Science – If you are curious about wearing your baby, now is the perfect time to get educated on the topic. 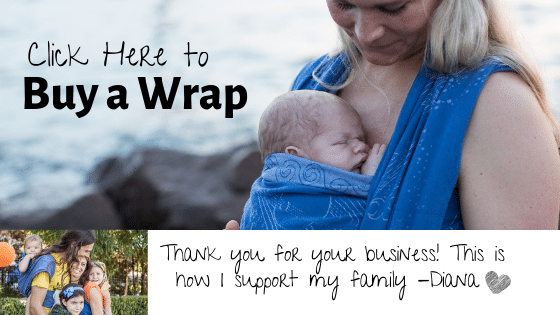 You see, the first week of October is a nine-day babywearing celebration, mothers from all over the world are taking the time to advocate for the use of slings, wraps, and carriers. While anecdotal evidence about the practical benefits of wearing babies is both abundant and accessible, it can feel like a challenge to unearth studies that provide hard facts as to whether or not babywearing offers any developmental or health advantages. As it turns out, though, there is plenty of evidence! You just need to know where to look and be prepared to go beyond the limited number of specific babywearing studies. In actual fact, there are plenty of scientific studies that measure the effects (on mothers and babies) of things like touch stimulation, close physical contact, holding infants upright, and skin-to-skin contact – all things that are naturally promoted when babywearing. 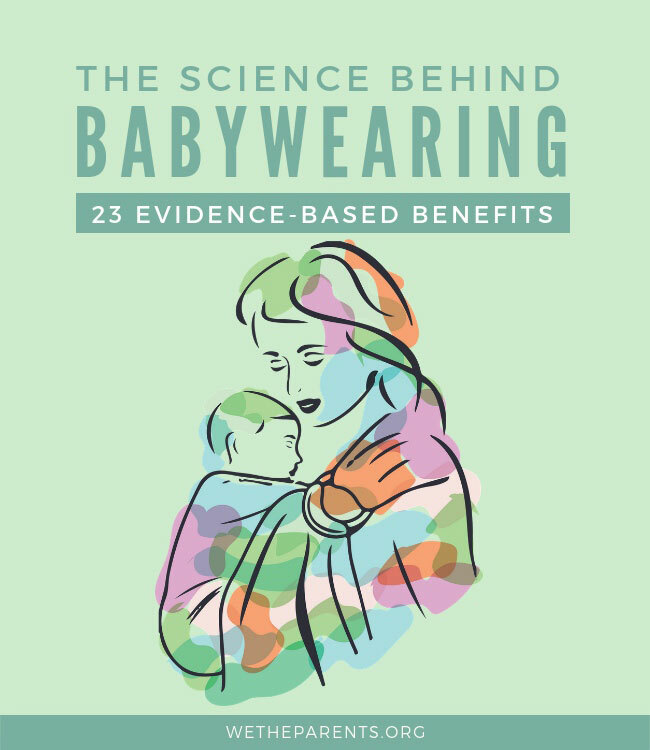 We The Parents have published an infographic titled Babywearing: 23 Science-Backed Benefits. It highlights 23 studies that together create a compelling case for carrying your little one. Quite a few of the facts listed will surprise even seasoned babywearers. For example, did you know that wearing your baby could actually increase parasympathetic vagal activity by mimicking a gentle massage? This in turn leads to an improvement in digestion. Research indicates that babywearing has a profound and diverse set of benefits for both parent and child; everything from mother-child bonding (even among moms battling depression), to helping tackle those frustrating reflux symptoms in infants. With such a wealth of evidence, the question isn’t will you carry your baby, but how will you wrap them?